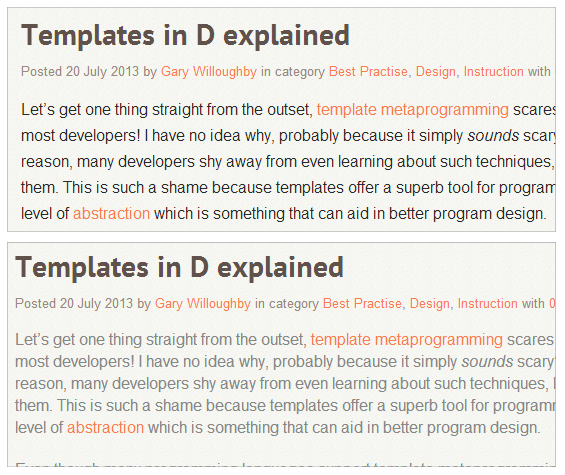 What colour scheme changes can i apply to my blog (above) to increase the contrast of the text? i don't really want to change the overall design, just tweak the colours to improve readability and provide a little more contrast. I've been getting some feedback saying grey on grey is unreadable for some. If you could suggest a colour palette that's sympathetic i would be very grateful. There are many tools to check web page contrast. I agree with Alexey that the text color should be darker. Also, I think you're orange link color doesn't have enough contrast with its background. I don't have a recommendation on how to increase the contrast of the link text, you'd have to experiment and run things through a contrast check and a color blindness simulator to find something that satisfies your accessibility and design goals. Your links could be a little darker. While I suspect they are made to match the darker orange in the header gradient, they look like the lighter shade of orange. A common optical illusion is that thin lines of a color look lighter than thick bars of the same color. If you make the orange links darker they will still match color scheme, still look orange, and contrast better with the background. Also, your Twitter and LinkedIn icons fade to a lighter color when you mouse-over them. Darker would probably be a good alternative. 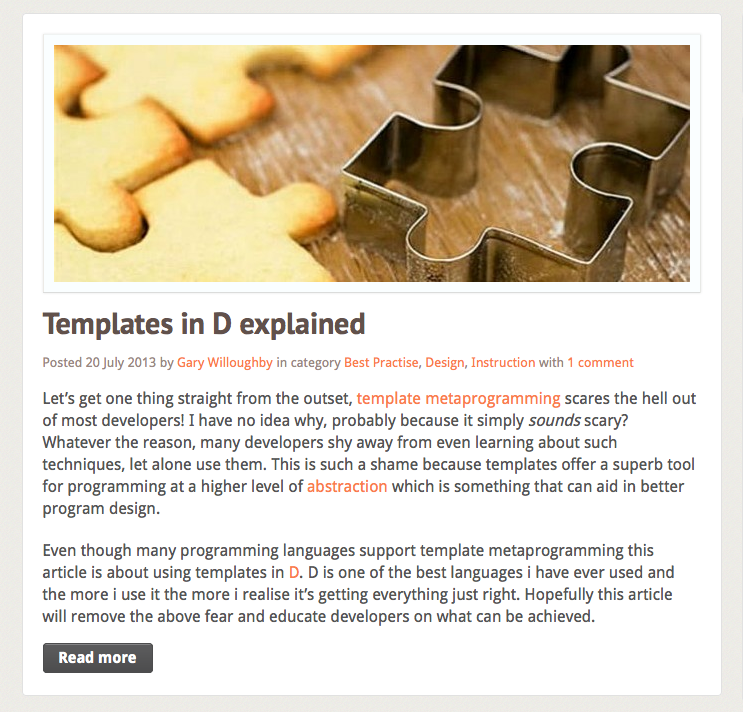 Header, Footer and sidebar are quite readable with the exception of the tags. Again, the text could be a darker gray. Not the answer you're looking for? Browse other questions tagged text readability color-scheme or ask your own question. Readability - what is the best way to display a stand alone date in an email? Is this hard to read? Is there any science way to find out the suitable contrast for text and background colour? Does the Oxford Comma increase readability?